□ If you key in wrong HDD password for three time, "HDD password error code" would display on the screen. See the image below. 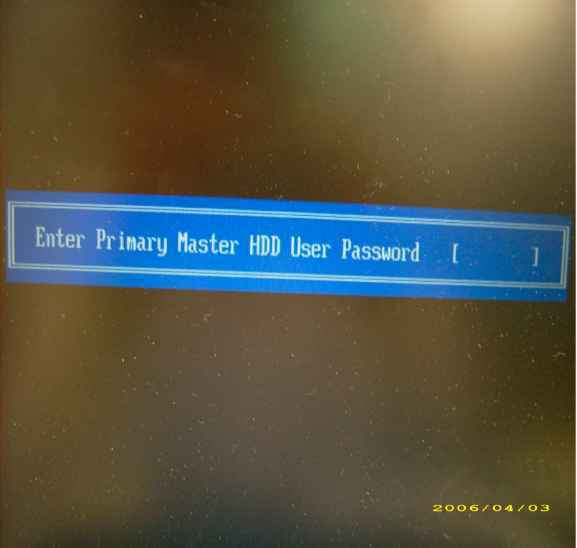 Key in "hdd_pw 15494 0"
□ Reboot system and key in "0KJFN42" or "UVEIQ96" to HDD user password. 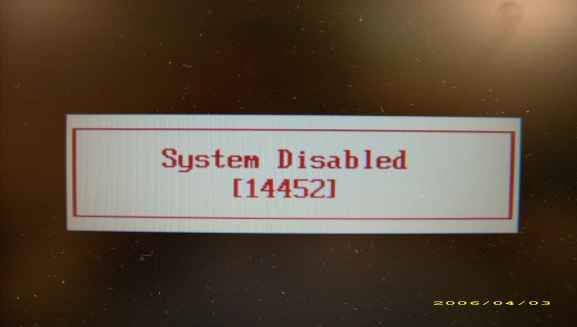 □ If you key in wrong Supervisor Password for three time, "System Disabled" would display on the screen. See the image below. Key in "bios_pw 14452 0"
exe ul.ti i July 1997 2. 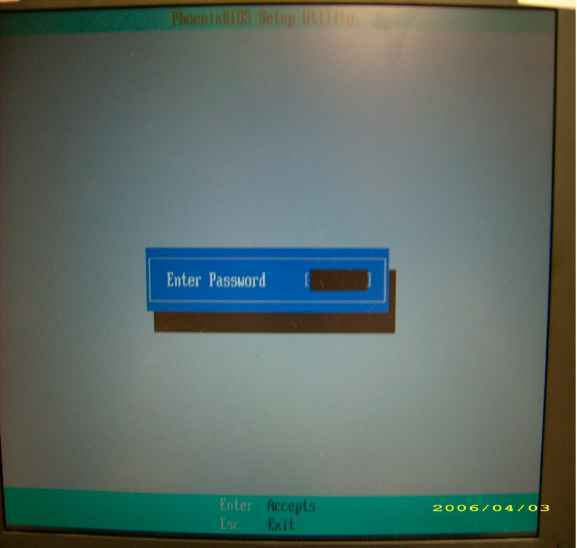 □ Reboot the system and key in "qjjg9vy" or "07yqmjd" to BIOS user password. How to disable acer ferrari one password?